RSPB Scotland Loch Leven's Writer in Residence Anita John brings us the latest sightings from the reserve and writes: The sky is full of the haunting polysyllabic cries of wigeon and curlew today at RSPB Loch Leven. Waders of watercolour landscapes, the curlews fall and rise like smoke over the loch to land on the far bank alongside a coil of whee-euing wigeon. All work on the visitor centre side of the road has been finished, and we’ve been busy planting trees and wildflowers into the newly landscaped areas. These will continue to look a little bare until the spring, but as soon as we get some sun, they should spring into life and start to fill out with new greenery. 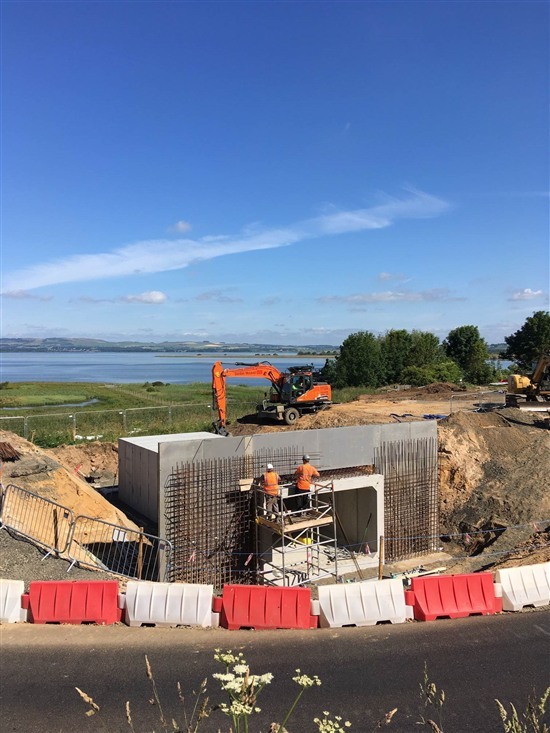 Work on the new underpass at RSPB Scotland Loch Leven is now tantalisingly close to being finished! The new steps and the long sloping pathway to reach the underpass from the visitor centre are both complete. Workers have still been on site putting the finishing touches to the landscaping, but we’ve already started sowing wildflower seeds and planting trees in the new areas. RSPB Scotland Loch Leven's Writer in Residence Anita John brings us the latest sightings from the reserve. She writes, two exciting sightings have been made at RSPB Scotland Loch Leven in recent weeks: the return of the ospreys and the arrival of a hummingbird hawkmoth! 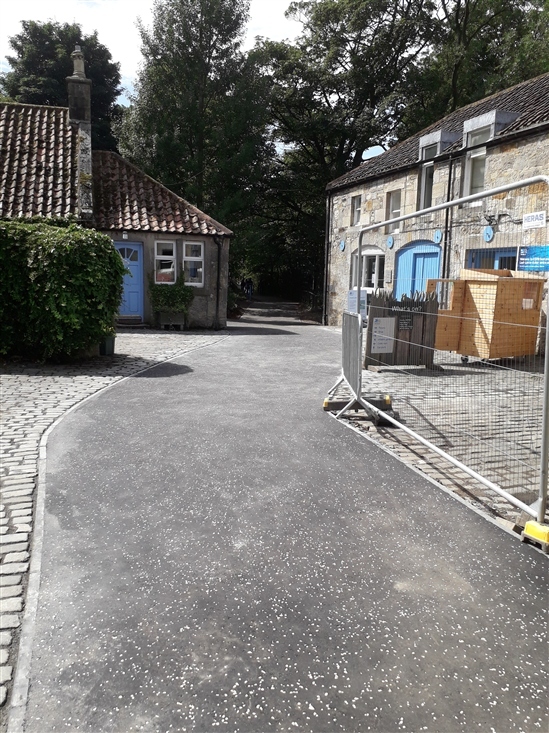 We’re very pleased to announce that the fantastic new path through the courtyard at RSPB Scotland Loch Leven is now complete! The path runs from the edge of the car park, past the main entrance to the visitor centre and the toilet block, out to where it will eventually join up with the path that goes through the underpass. It’s been a busy couple of weeks at RSPB Scotland Loch Leven. Chris Packham dropped in on July 14 as part of his two week Bioblitz Campaign. 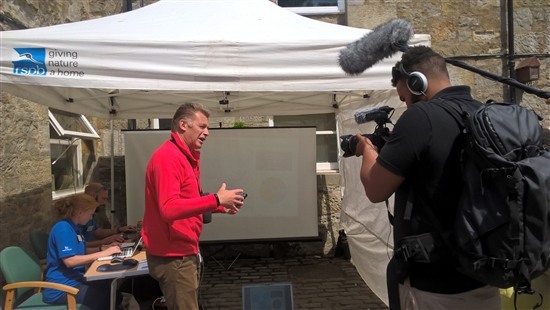 It was the first day of his journey visiting 50 sites across the UK highlighting the extent to which our wildlife is under threat. As work on the new accessible underpass at RSPB Scotland Loch Leven picks up pace, here’s an update on what’s been happening. 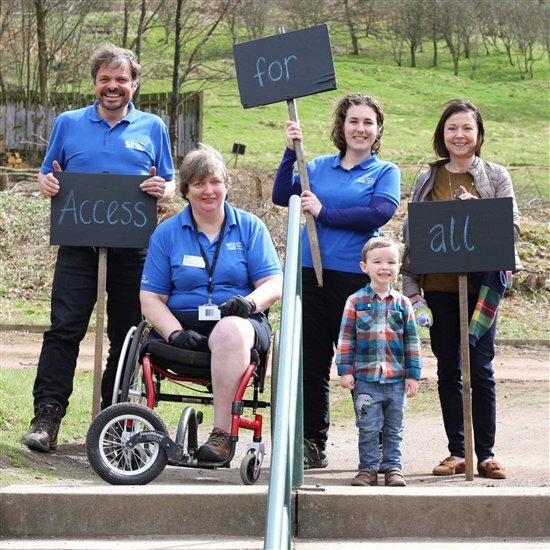 RSPB Scotland Loch Leven's Writer in Residence Anita John brings us the latest sightings from the reserve and writes: The territorial fights and flights are in full swing at RSPB Scotland Loch Leven as the breeding season advances apace. 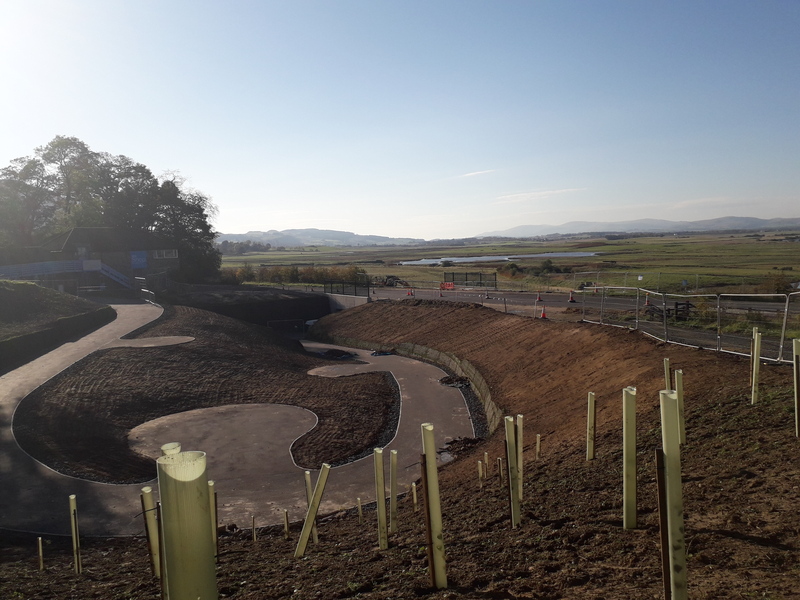 Regular visitors to RSPB Scotland Loch Leven may have noticed a few changes to the site over the last few weeks, particularly in the area to the east of the visitor centre. We needed to fell a number of trees and bushes, and change the layout of the viewing screen in the picnic area. If two swallows make a summer then one swallow must make spring official! And the first swallow was sighted over RSPB Scotland Loch Leven on 12th April which means the reserve will soon be full of their screeching cries and swooping flights once more. A blustery day at RSPB Scotland Loch Leven with a cold easterly wind sending many birds to find shelter, with others seeming to enjoy the wild conditions. A cold and blustery day at RSPB Scotland Loch Leven but signs of spring are beginning to show! Firstly, our resident red squirrels are being seen more frequently foraging for food - their tree climbing agility and nut-finding antics never failing to amuse! 13,000 Pink-footed Geese in November! The latest count of pink-footed geese to whiffle into Loch Leven in November was 13,151. It was a privilege to see the "pinkies" depart in the early morning and return to the reserve at dusk. The Sun Shines on RSPB Scotland Loch Leven's 50th! Happy 50th Birthday RSPB Scotland Loch Leven! 50 Golden Years at RSPB Scotland Loch Leven! 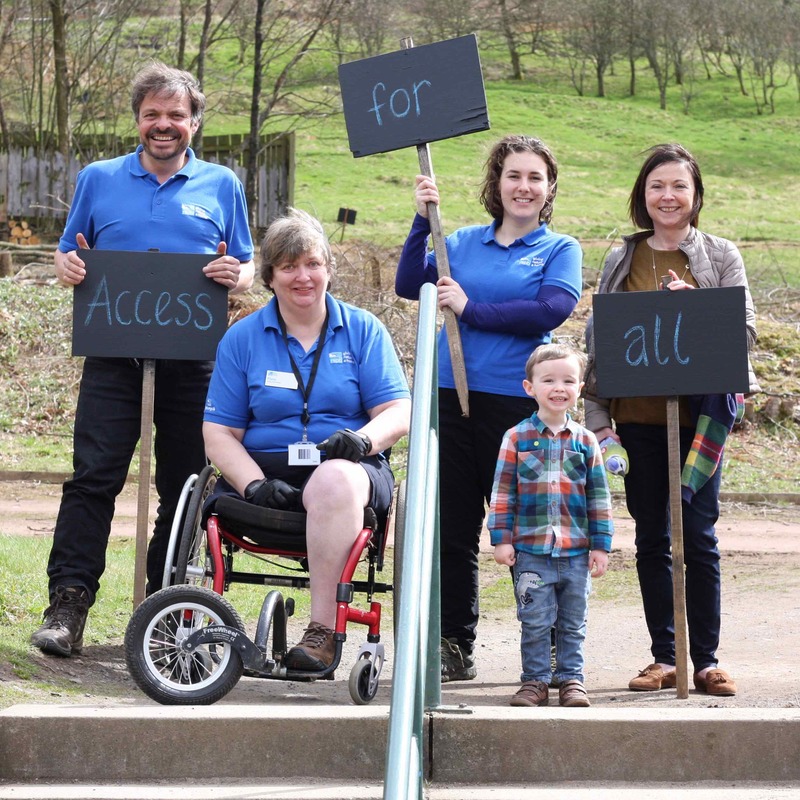 50 Years Celebrations at RSPB Scotland Loch Leven! From mute swans to marsh harriers! Were you a 1980's Vane Farm volunteer?